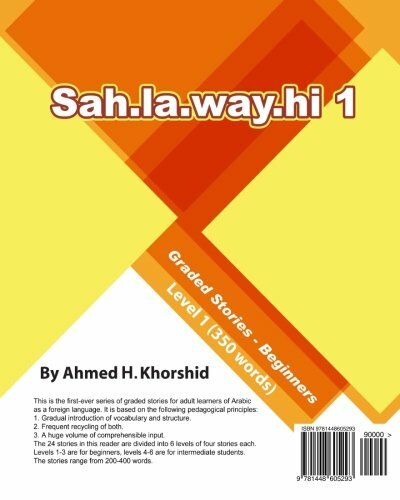 This is the first-ever series of graded stories for beginning and intermediate adult learners of Arabic as a foreign language. It is based on the following pedagogical principles: 1. gradual introduction of vocabulary and structure, in context. 2. frequent recycling of both. 3. a huge volume of comprehensible input. The 24 stories in this reader are divided into 6 levels of 4 stories each. Levels 1-3 for beginners, levels 4-6 for intermediate students. The stories range from 200 - 400 words. Last edited by arcadius; 07-28-2018 at 07:55 PM. You can find the password, which is langacademy.net, as well as many other hints and tips on the use of our site, here: Member's Guide.